Summer is the time for getting outdoors, spending time with family and enjoying some fabulous barbeque cooking. Family get togethers can be the perfect way to make memories fit to be enjoyed for years to come. If you have a big family, the summer barbeque can be the highlight of your whole season. With life busier than ever, you may only have a few opportunities to gather the whole family together for some fun over the year. Why not make your summer gathering a party to remember? Have a family member host the event. If anyone has a great property or a pool that is perfect for the occasion, talk to them and set a date. Or, enjoy one of the many local parks with BBQ stations for families to use. Although everyone loves the great flavors of a barbeque, it’s not only about the food. Serving the classic hamburgers and hotdogs with some delicious side dishes is all that you need to keep everyone happy. But the memories that happen when people have the chance to mingle freely are what makes these events worth it. 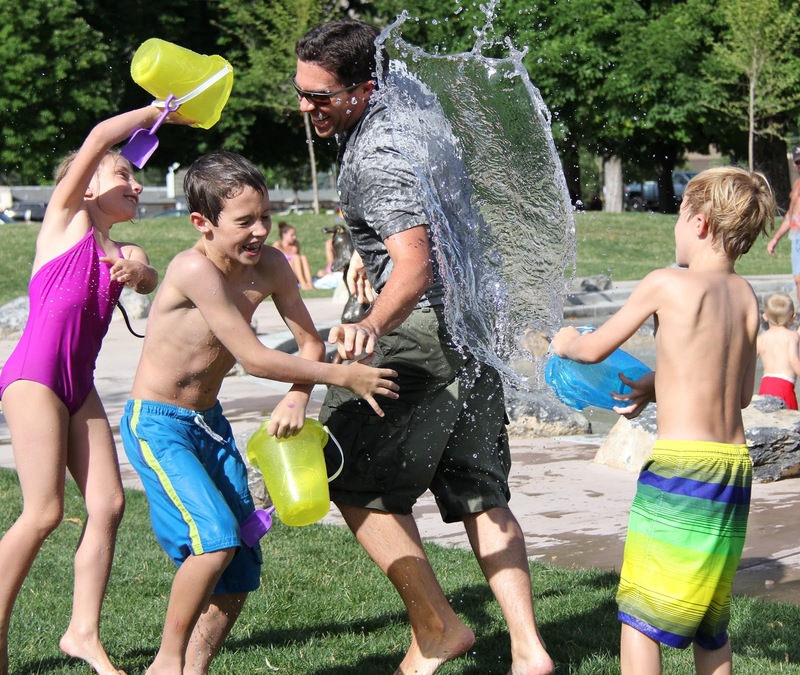 Gather some games and activities organized so that family members of all ages can participate. Get some inspiration by taking a look at some of the fun activity ideas that we have listed that are easy and cheap to organize for your big day! This classic and fun game can be played by young and older alike. It’s easy and affordable to either build or buy your own bean bag board. Once you have one, it can be a permanent fixture for your yard all year round. Grab some bean bags from the local Dollar Store or outdoor center and see who has the best aim! If you are hosting a large crowd you can even organize a tournament with teams. Keep the kids busy painting and decorating their sacks during the day to get them ready for the race after you eat. Potato Sacks can be ordered online or picked up at most outdoor gardening store for a bargain. There is a reason that the Sack race has been so popular for over 200 years. It’s easy to do and will have the whole family enjoying the fun. Match all the kids together or be creative and match moms and dads with their kids for some three legged fun. Use some old ties or scarves to tie your legs together and get ready to race at the starting line. This classic game is a big hit for the adults in the crowd. Kids can play too with adult supervision. Flying horseshoes should generally be kept in an area where there are not a lot of little ones playing. All you need is a small sand pit, a stake and the shoes to throw. This is a fairly new craze that can be played by the whole family. Set up “goals” around the property and see who can get their frisbee closest to the pin. You can play one-on-one or join up in family teams to get the whole crowd in on the fun. Keep your younger guests busy hunting for a list of hidden treasures around the property. There are hundreds of fun and interesting Scavenger Hunt lists that are available to download online. Make it a nature-based hunt or hide items yourself for a more personal touch. This is a favorite with the kids. Gather up some cheap squirt guns from the Dollar Store and fill them with watercolor paints. Hang or place painting canvases out for the kids to aim at and let them go! The Kids can use different colors to “paint” their pictures with different guns. Once they are all dry you can host an art show and give out prizes for the most lovely pictures. SunRype Fruit Snacks and Christopher Robin the Movie! Have you ever had one of those things in your life that just keeps great memories for you? Some people have a quilt or a lovey, maybe a pillow or stuffed animal? Christopher Robin knows just what you are talking about. In the new movie he is now all grown up and has grown up problems like the rest of us. I know that so many of us can relate to this movie. I wish all of my childhood things to come and help me get through life, we all have times where we just want to hug our teddy! I always encourage kids to have that special thing in their life that can keep them feeling safe and secure no matter where they go. I think Christopher Robin is one of those movies that shows how important those things are. When we go to the movies we always bring our own snacks and drinks, it is easier now than it use to be but, we still like to conserve space in our bag. SunRype fruit snacks are one of our favorite movie snacks. We love all of the flavors but, our favorite is the apple wildberry. They have Apply Raspberry, Apple Strawberry and Apple Strawberry Watermelon, yummy! The kids love them and I love them because they are all fruit, free of most allergens, gluten free and are not messy like so many other snacks. *NO PURCHASE NECESSARY. The sweepstakes begins on July 30th at 8:00am PT and ends on August 24, 2018, at midnight PT. Open to legal residents of the 50 U.S. or D.C. who are 18 years of age or older. The sweepstakes can be entered ONCE PER DAY. Find a full list of the prizes available to be won, approximate retail values, how to enter, odds of winning and weekly drawing dates along with the full rules and regulations at the entry site above. Void where prohibited. Sponsor: Sun-Rype Products Ltd. There seems to be so much talk lately about coffee pods and how the single serve is the way to go for fast coffee. I have to say that I am not real sure that is the way I want my coffee journey to go. 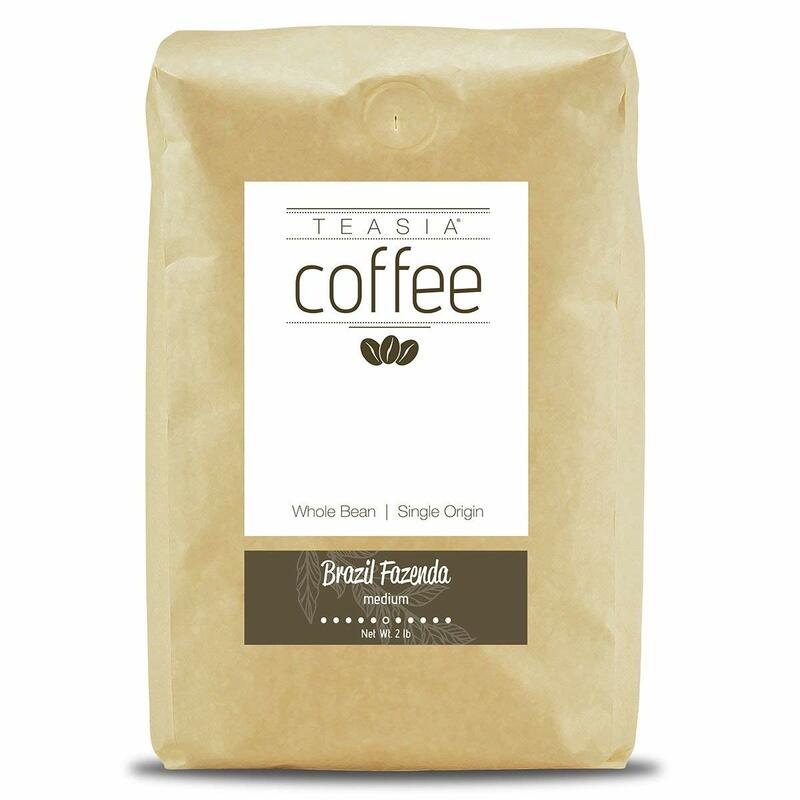 I was so thrilled to find a great whole bean coffee from Teasia Coffee that is so remarkable I am pretty sure I will drink nothing else. These new coffees are just amazing. Of course, I will have to say up front that if you are used to throwing a pod in and pushing brew, this is going to take a bit more time, but I am here to tell you that it is worth the time. If you have a grind a brew coffee maker like I do the switch is pretty simple, if you have a regular brew coffee maker this is still very possible, however you will have to grind the beans first in a separate coffee grinder prior to the brew. Trust me, it is worth the effort and time. Remembering back to when all the famous coffee shops started popping up everywhere the one comment I heard was that the coffee was so rich and others even said it was stronger than what they were used to at home. The simple difference is grinding the beans fresh just before brewing your pot. Teasia sent me three different varieties of beans and I loved all three and in fact I wish I had double the amount of each. Each coffee or course had its own flavor profile, but all were rich, flavorful, delicious and never bitter. So many coffee beans I have tried are bitter and too strong. Teasia has found the perfect balance of a great cup of coffee without being so strong it is bitter and not very enjoyable. The coffee pod may have its fans, but personally if I am going to have coffee I want it to be fabulous coffee, life is just too short for bad coffee. Some people really love different wines but, for me I am a coffee lover to the core and I want different coffees to go for different times. I never have to worry anymore any of the Teasia coffees would easily fill my needs and desires. You can pick this coffee up at Amazon while doing your other shopping and don’t forget that grinder if you need one. You will never go back to the pod way of life! Read all about it on their Facebook page here! It’s as if we have to feel guilty about everything we eat, especially desserts like chocolate that are given to us on valentine’s day. Most people think of chocolate and immediately associate it with sugar, increased insulin levels and weight gain. As mothers, we often have to watch out for the sweet tooth of our children and families. Meanwhile, we have to make sure that we watch our own waistlines as well. However, there are some benefits of eating chocolate that could make you re-think this amazing dessert. Keep reading to learn about these benefits that may encourage you to indulge in the rich and sweet food item more often. Dark chocolate that has cocoa can be a good source of fiber and minerals. Of course, you still need to eat this chocolate in moderation. You do not want to gain your fiber and minerals from chocolate alone. You would have to eat far more than the normal amount. That being said, a dark chocolate bar that has a high percentage of cocoa contains fiber, iron, magnesium and potassium. As you may already know, these are helpful nutrients that we need every day. Some of these nutritious elements help us stay slim and fit into the clothes that we love to wear. Studies have shown that chocolate can make you feel more full and satiated. Whether this is due to the sweet taste or fiber content, you could find yourself eating less because of chocolate. Obviously, this is a nice excuse to cut your dinner short and have some gianduja chocolate. But, it should be eaten in small amounts to get the effect of eating less. Otherwise, you will feel full after eating a similar number of calories. Start with small bites of chocolate. If the studies align with your body, you might not need to eat as much. This can reduce your cravings and keep you in shape to fit into that favorite dress. Next, the amino acid tryptophan could make you happier. If you are feeling depressed or down, eating chocolate could turn that around. This is not a regular solution to feeling sad. But, once in a while, chocolate can cheer you up. 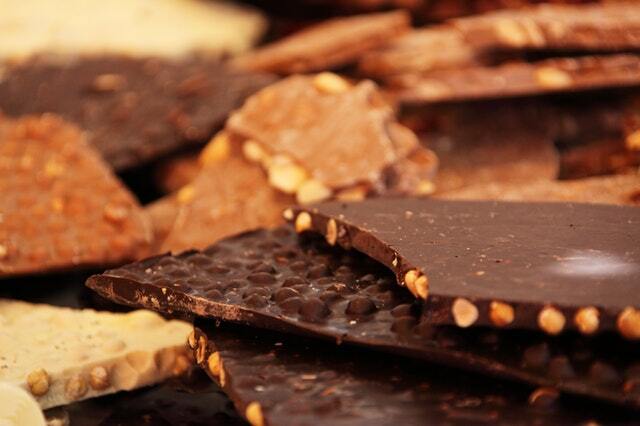 Since chocolate contains tryptophan, it stimulates serotonin production in the body. Naturally, this acts as an anti-depressant for the brain. As a result of eating chocolate covered cherry coffee candy, you will be more likely to get up and do something invigorating. When you are in a positive mood, you will work out, exercise and stay active. An active lifestyle can keep you happy and in shape, which also makes you feel good too. Another study found that chocolate can help mothers who are expecting. As you know, the mental impact of having a child can take a toll on you. Chocolate was shown to reduce stress in the expecting mothers. This is a great benefit of chocolate that can help mothers through stressful or anxiety filled pregnancy days. Curiously enough, the same Finnish study showed that the babies of those mothers smiled more often than other babies whose mothers did not each chocolate. This is a great reason to have some chocolate, especially when your waistline is expanding and you’re eating for the happiness of two people. Dating as far back to the 16th century, some cultures were found to use chocolate to treat diarrhea. This is an unpleasant ailment to have that could keep you from doing your day-to-day mother duties. If you are feeling these symptoms, you should always follow the advice of your medical physician. Additionally, you could eat some chocolate. Scientists believe that the cocoa flavonoids may bind to a protein that assists in regulating fluid secretion from the small intestine. This could help keep your stomach under control, getting you back to your regular activities in your normal clothes. This post might change the way you look at eating chocolate. There are many benefits of this tasty food that you may not have been aware of. It contains several nutritious elements. It can make you feel full after eating and uplift your mood. If you are expecting as a mother, chocolate could help you and your baby during the pregnancy. More so, it has been found to aid with diarrhea symptoms. With all of these benefits, you can still eat chocolate while fitting into your favorite clothes. 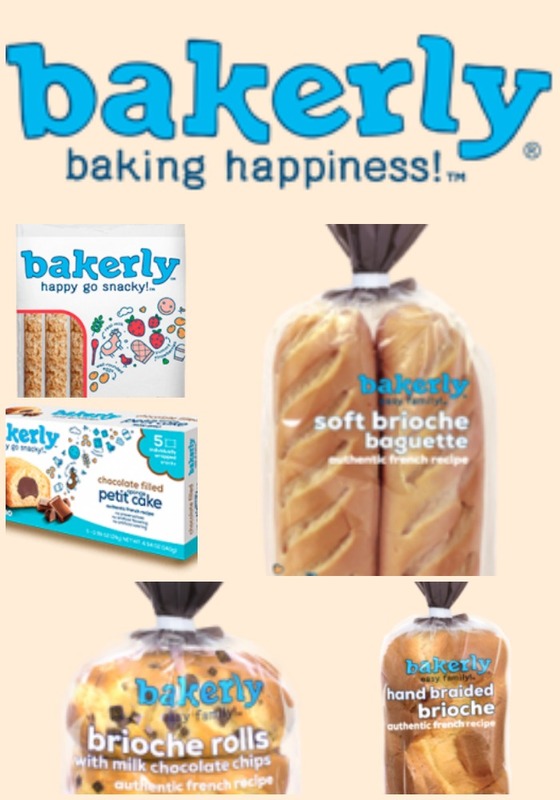 Best Bread only from Bakerly! I have a problem with bread, once I start eating it, I never seem to have the will power to stop. It is like some people and chips and salsa. Bakerly has helped me fuel this problem, they are simply one of the best! I found one of the best bread and snack products this season and you have to find a time to give it a try. Bakerly sent me some amazing samples so that my family and I could try their product, it is one of the best food samples I have ever received. They sent crepes, soft brioche, braided brioche, chocolate brioche, baguettes, and I have to tell you all of it was fabulous. It came and went in our kitchen within 48 hours. One of the most impressive things I found with their Bakerly products was the freshness even after being shipped to my home. It was all like I bought it at the local bakery, soft, firm, but melt in your mouth. It definitely is a winner here. The kids loved the crunchy crepes they sent and we had to split the last one three ways for the kids to enjoy, they were fighting over it. Bakerly began when Julien and Fabian, two Bretons (from Brittany, in the North West of France) decided to combine their efforts and talents to convince American consumers that crêpes, brioches, and other traditional French products deserved a place in every American household. I am so glad that they did this! All of the Bakerly products are free of preservatives, artificial coloring, flavoring, high fructose corn syrup and have zero trans fat! They even have a list on their website called the no no list and when you see that you will see that they mean business when it comes to bad stuff being in their products! Every single product we tried was amazing, every single product they sent we have purchased again, I know this is one of those products that is going to be on our holiday table, they are just that good! Check out where you can buy them in your area and just trust me on this one, you are going to love them! Bakerly has changed the bread I serve at my table. You can follow along on their social media pages and made aware of all of the products and specialty products they come out with.